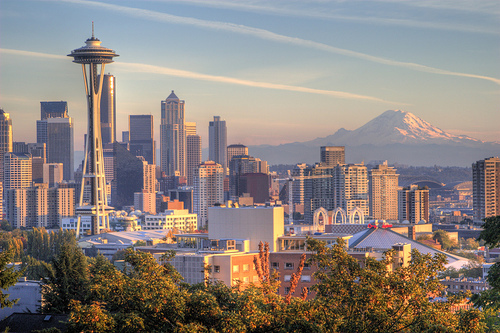 If you are single and exploring the gorgeous Emerald City with it's warm summers, at some point you're likely to face the so called Seattle Freeze. In short you can think of it in this way, people from Seattle will invite new acquaintances onto their porch, but not into their house. This is experienced by Seattle Singles and those within the Seattle Social scene, but not everybody will agree with it. Most common questions are: Is it difficult for singles to make friends in Seattle? Is it difficult to date in Seattle? The answer is no, it's not hard. From single persons perspective Seattle is not much different from New York, Chicago or Los Angeles. Singles are everywhere and they are open to meeting other singles, the only variables are attitude and personality. Good news is according to a study titled "Best and Worst Cities for Online Dating", Seattle is the eighth-best dating city. Why? Because Seattle is full of singles who are willing to explore life and have fun, and are not hesitant to make new connections. Seattle Freeze exits, but breaking it is very easy in both singles and social scenes. The only thing you need to do is to go out and have a good time with other singles. Don't set any expectations or goals, just be social and open to learning and meeting others.